Announcing the winner of Vallum’s Cryptographic Adventure! and an extra special thanks to those of you who hazarded a guess! 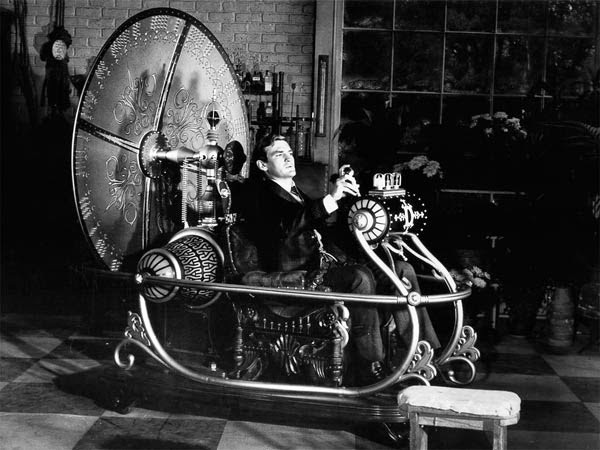 WEEK 12: Vallum’s Cryptographic Adventure! This is WEEK 12 (and the LAST WEEK) of Vallum’s Cryptographic Adventure! 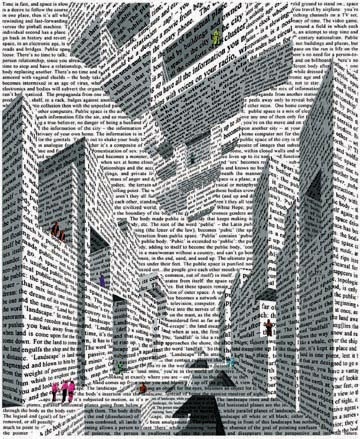 Originally we were offering a free entry into our annual poetry contest, the Vallum Award for Poetry, to the first person who solved the cryptogram correctly. CONGRATULATIONS to Jacqueline Hanna who solved the puzzle within the first couple of weeks! 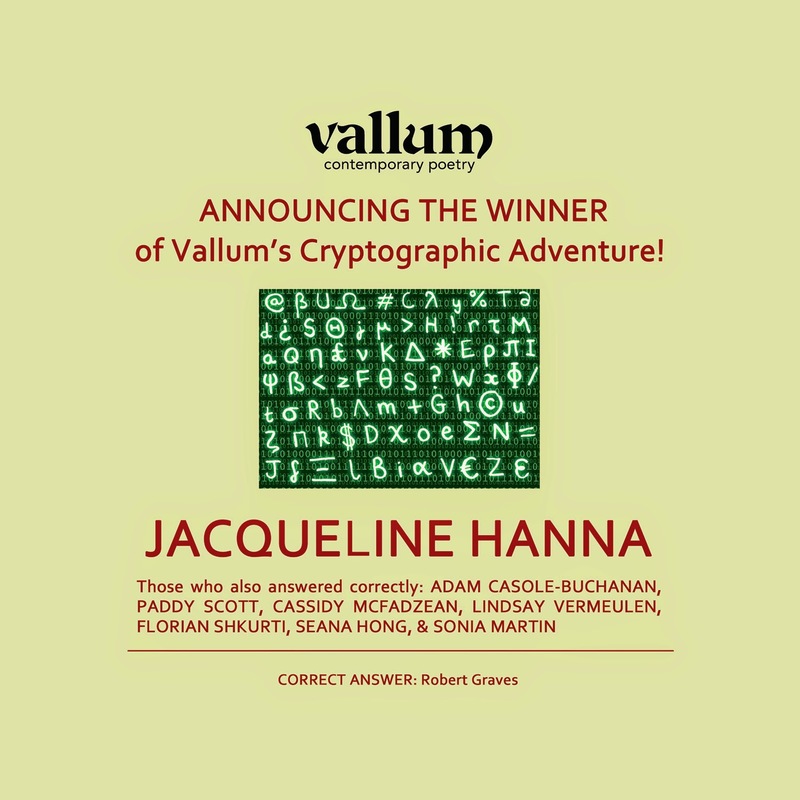 Now, for anyone else who has solved or will solve the cryptogram correctly, Vallum is offering other FANTASTIC PRIZES! So keep deciphering! 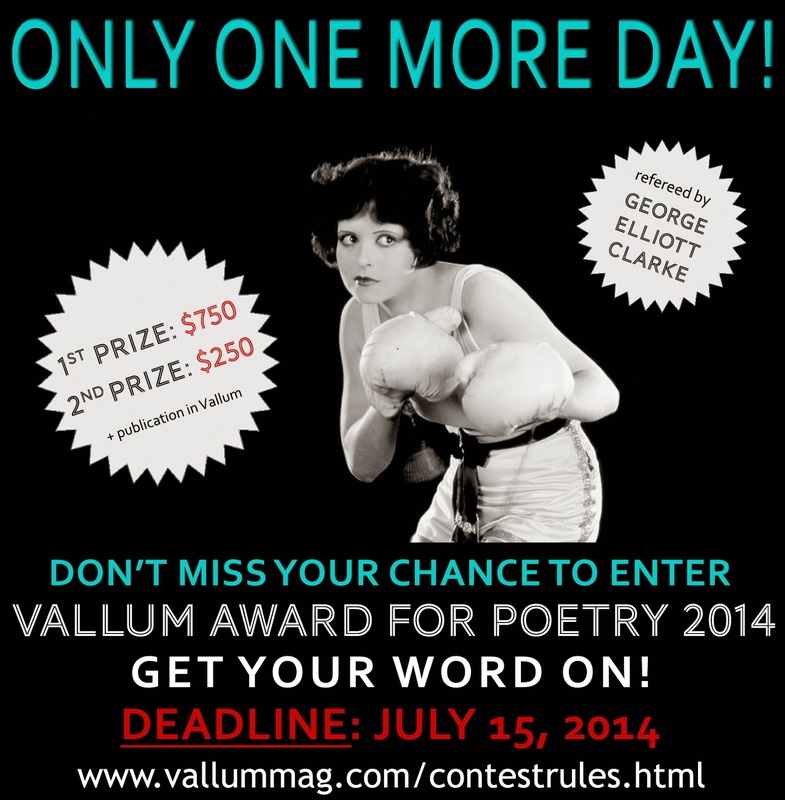 Don’t miss your chance to enter the Vallum Award for Poetry 2014 ! WEEK 11: Vallum’s Cryptographic Adventure! For all you spies and double agents, here’s the cipher and hint for Week 11 of Vallum’s Cryptographic Adventure! 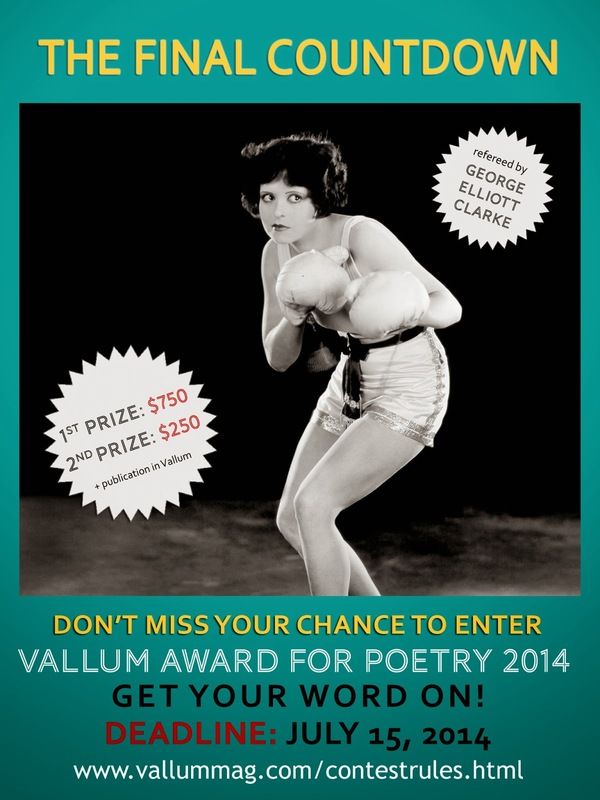 This is the second-last week to guess the mystery poet correctly to win a snazzy Vallum prize! Good luck! WEEK 10: Vallum’s Cryptographic Adventure! 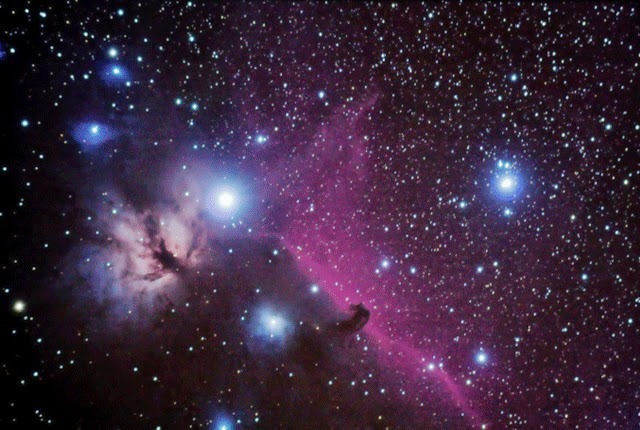 SEP ZBZ KEG MSBMMGH BC KTIE X LEUKMWP SXP ?